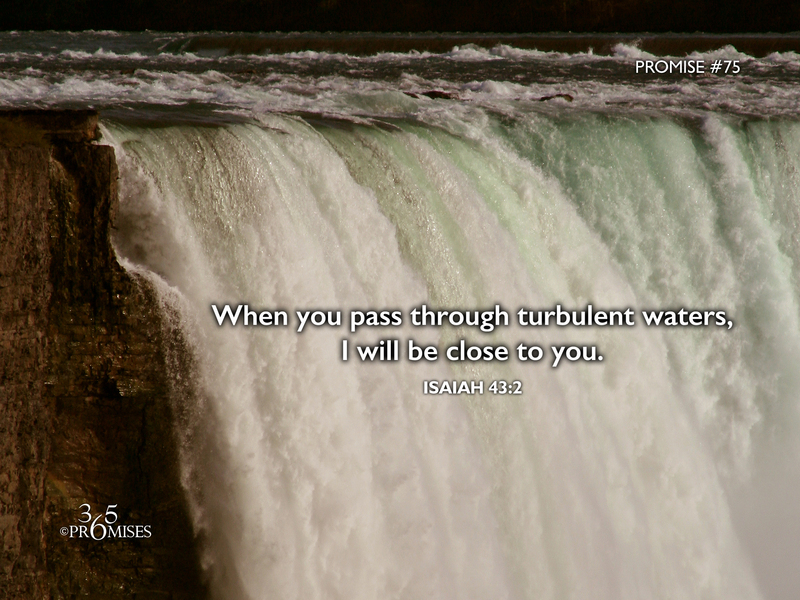 When you pass through the waters, I will be close to you. We live only a few miles away from the mighty Niagara River. The world renowned Niagara Falls is part of the incredible torrent of water that flows between Lake Erie and Lake Ontario here in Canada. Whenever I get the opportunity to come close to its river bank, I see first hand the incredible power of its rapids. What can possibly withstand such a raging force? My prayer today is that each one of us would know how big and how strong our God is. No matter the size of the opposition coming against our lives or those we love, God is bigger. He has promised to be with us when we pass through the waters so that we will not be overwhelmed because that is what good fathers do! May we rest in His loving care today.